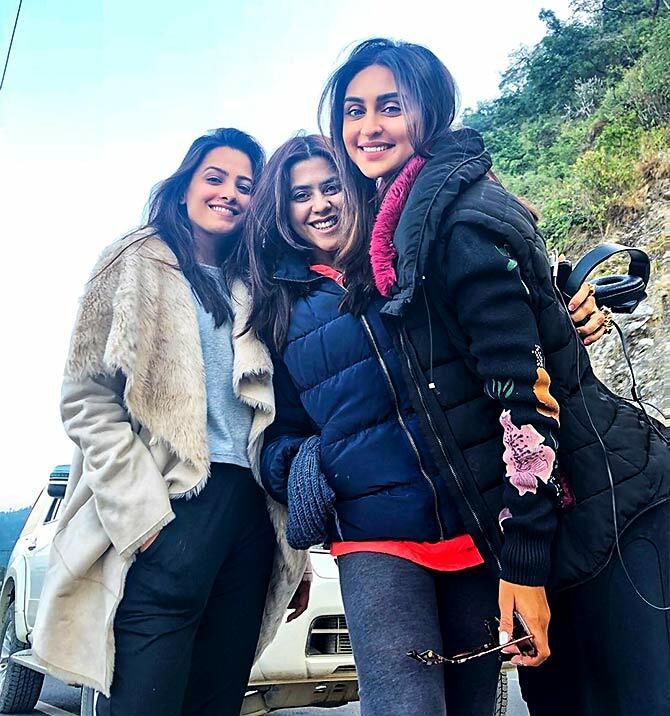 Rediff.com » Movies » What's Ekta Kapoor doing in the Himalayas? What's Ekta Kapoor doing in the Himalayas? The Balaji boss is on a detox holiday. 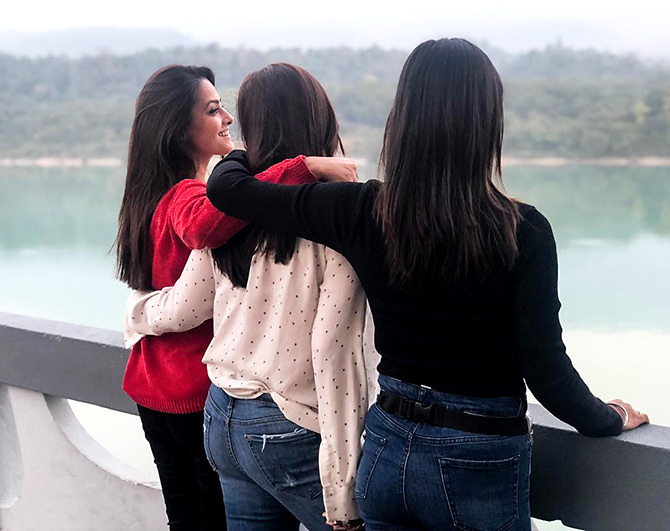 Ekta Kapoor has zoomed off to the Himalayas for a quick gateway with girlfriends Anita Hassanandani and Krystal D'souza. 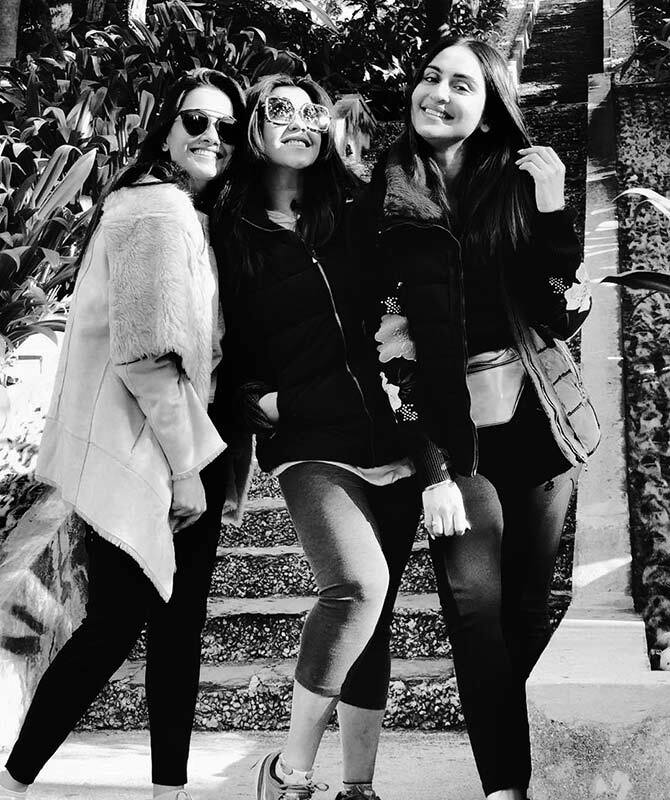 From doing yoga to enjoying me time and pampering themselves, the trio have been truly living it up at the Ananda Spa Resort near Mussoorie in the Himalayas. A peek at their Instagram accounts and we discovered what the ladies have been up to. 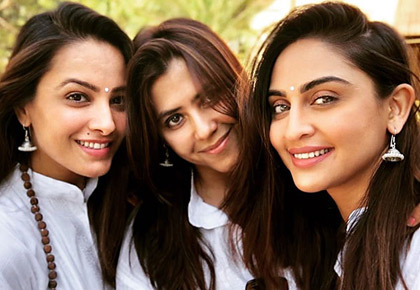 As soon as Ekta arrived at the resort, she posted this Instapic and wrote, 'Anandaaaaaa! Himalayas!!! N us'. 'Life is never Black n white! It's mostly fifty shades of grey'. 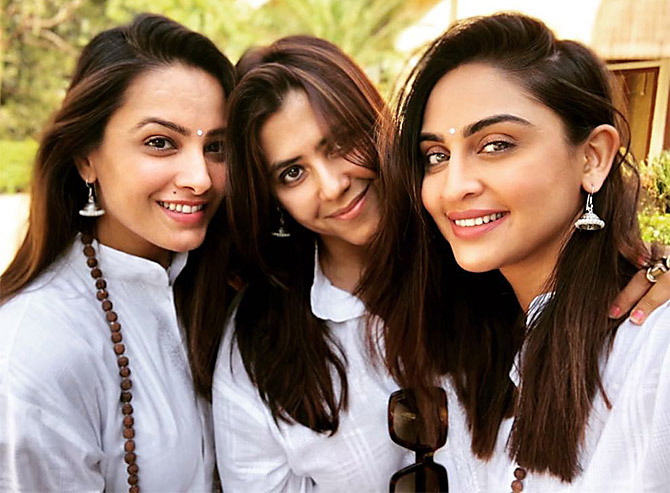 White, bright and all smiles! Dil Chahta Hai vibes on Ganga Ghat. Music, bae and chill winters -- that's a holiday done right! That's how you do the tree pose or the Vrksasana.